UPDATED | The BBC has unveiled what will be its most comprehensive coverage of the Commonwealth Games to date. 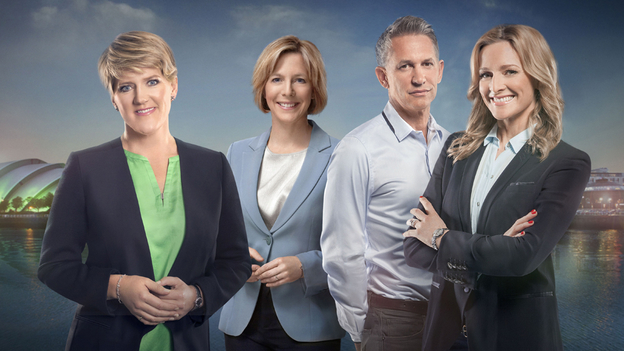 There will be 300 hours of network TV coverage, 200 hours of radio coverage and more than 1300 hours of live action via up to 17 digital streams on the BBC Connected Red Button from the event being held in Glasgow between the 23rd July and 3rd August 2014. BBC Three's broadcast hours will be extended to provide coverage throughout the day, starting at 9am, complementing BBC One's coverage, which will start at 6am with Breakfast live from their studio on the banks of the Clyde, and run until just after 11:40pm. The BBC Red Button will be expanded to provide seven streams of live coverage on satellite and cable services, including one HD stream. On Freeview, the BBC will operate two red button streams (an update to the BBC Media Pack has since removed reference to five streams); the availability of these streams will depend on how much of the Freeview service viewers can receive and whether they have a Freeview HD-certified receiver. Smart Freeview HD TVs with the BBC Connected Red Button service, along with Virgin's TiVo service will be able to access up to 17 HD streams of coverage via broadband internet, depending on viewer's broadband speeds. Reports suggest the Connected Red Button service will also be made available on YouView boxes by the time of the Games. Viewers with Freesat Freetime will be able to access the streams via the BBC Sport App, repeating the procedure used during the Sochi Winter Olympics. * This piece of information was removed from a later revision of the media pack. Updates with the latest information will appear on this page as and when they are made available.